Last month, a fast wireless charger from Samsung known only to us as 'EP-N6100' passed through the FCC. 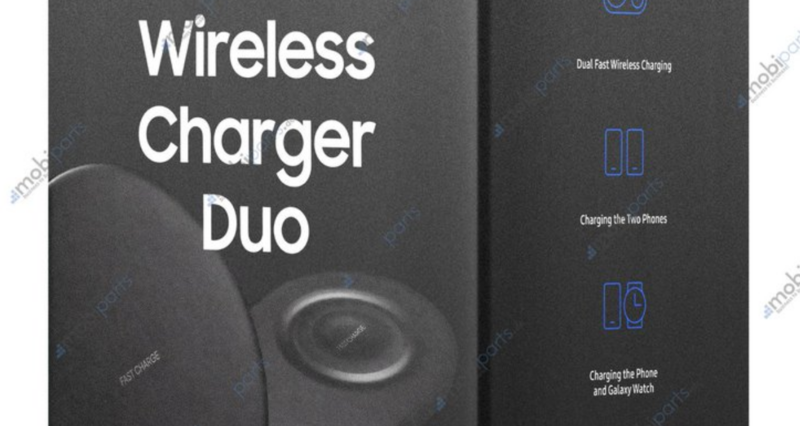 An image of the box of that wireless charger, officially called 'Wireless Charger Duo,' has leaked out courtesy of MobileFun, and it also confirms the existence of the rumored Galaxy Watch as well. The image was pulled from MobileFun and leaked by Roland Quandt. It's only one image, but luckily, the box shows both the product itself and some features. The Wireless Charger Duo itself is reminiscent of those iPhone-Apple Watch combination chargers we often see. The smaller charging surface is intended for the Galaxy Watch, but a phone can be placed there as well. Quandt says that MobileFun is expected to charge around £55 GBP, which is around $72 USD. That's not a terrible price for an OEM part with two fast wireless charging coils, though I'm sure similar products already exist if you're willing to sacrifice the cool design.